Why Does Everyone Love the Latest Mazda Lineup? If you’re looking for something fun to drive, packed with the latest features, yet still practical enough for the commute (and your wallet), look no further than the latest Mazda lineup. Mazdas have long been known for being sporty, but still practical. And that trend continues today. Just look at the Mazda3. The Mazda3 is praised year after year for being one of the most fun cars in its class, yet still manages to remain an IIHS Top Safety Pick. Want to take a closer look at the latest Mazdas? If you’re looking for a small car that doesn’t feel like a cheap, budget ride, the Mazda3 is for you. With a more upscale interior and Mazda’s signature sporty driving experience, the Mazda3 provides a premium feel not found in other small cars. The Mazda3 is available as both a four-door sedan and a hatchback as the Mazda3 Sport. These options make the Mazda3 super practical too. The Mazda3 is available with either a 2.0 or 2.5-litre engine. The 2.0-litre engine produces 155 horsepower and the 2.5 184. With either option, you could see up to 6.4L/100km. Inside, the Mazda3 comes standard with a touchscreen display, Bluetooth, USB, and auxiliary inputs. Connecting your smartphone is easy too. If you need to step up to something a little larger, but don’t want to move to an SUV, the Mazda6 will give you more space and features without sacrificing any driving experience. The Mazda6 is available only as a sedan, but falls in the highly popular midsize category. Cars like the Honda Accord and Toyota Camry make for some pretty stiff combination in this segment, but the Mazda6 offers a unique proposition with its sporty driving feel. The Mazda6 seats 5 and comes standard with a 184 horsepower 2.5-litre engine, that’s capable of up to 6.7L/100km. Available in several trim levels–all of them with premium interior features–The Mazda6 comes standard with rear climate control and heated seats all around. The available Mazda Connect infotainment system gives you plenty of options for staying entertained on the road. If you’d like to sit a little higher off the road, while maintaining the size and feel of a smaller car, consider the Mazda CX-3. The CX-3 is a compact SUV that is truly compact. While many SUVs and crossover have become increasingly bloated, the CX-3 maintains a trim figure that’s easy to manoeuvre in tight spaces. The CX-3 retains Mazda’s sporty handling, despite its SUV appearance. You can also pick up the CX-3 with all-wheel drive, so you can drive confidently in any conditions. With the CX-3’s 2.0 litre engine, you can expect to get around 6.9L/100km. A rearview camera is standard along with Mazda Connect and a 7″ touchscreen colour display. Take a step up the SUV ladder to the Mazda CX-5 if you need a bit more space than the compact CX-3. The CX-5 is not a large SUV by any means–it still falls in the compact category–the CX-5 does give you a roomier interior and more cargo space than the CX-3. Available with either a 2.0-litre, 155 horsepower or 2.5-litre, 184 horsepower power plant, the CX-5 is capable of up to 8.3L/100 km. All-wheel drive is optional as well on any one of the CX-5’s 3 trim packages. Just like the CX-3, the CX-5 comes standard with a rearview camera and the touchscreen, Mazda Connect entertainment system. The CX-5 seats 5 and comes with a split folding backseat that also reclines, ensuring plenty of space to comfortably seat passengers and cargo. With three rows and seating for up to seven, the Mazda CX-9 can fit the whole family. Even though it is a larger SUV, the CX-9 still drives like a car and is every bit as fun to drive as Mazda’s other offerings. The CX-9 is available with a turbocharged 2.5 litre producing 250 horsepower and achieving up to 8.9 litres/100km. If you’re keeping score, the CX-9’s fuel economy is just about as good as Mazda’s smaller vehicles. The CX-9 is available in four different trims, but comes standard with the same great features found in other Mazdas plus a few extras like 7-way power seats and 3 zone climate control. You’ll also get blind spot monitoring and smart braking features. Check out our inventory to see the CX-9 for yourself. If you’re looking for no-nonsense fun, look no further than the Mazda MX-5. This is the only true sports car in the latest Mazda lineup. The MX-5 has been around for decades and has long been a favourite of auto enthusiasts everywhere–and with good reason. The MX-5 is small, light, super simple, and more than a little reminiscent to some classic British roadsters. Available as both a convertible and a hardtop as the MX-5 RF, the MX-5 comes standard with a 2.0-litre engine producing 155 horsepower and manual transmission. While the MX-5 is a lot of fun to drive, it’s not quite as practical as its siblings. With just two seats and only 127 litres of cargo capacity, it’s not going to win any awards as a cargo haulier. But that’s not why you buy a sports car, right? If you’re looking for a fun yet practical vehicle, look no further than the latest Mazda lineup. 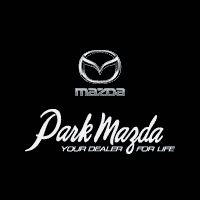 At Park Mazda, we have many of these vehicles in stock. Get in touch today and see for yourself! 0 comment(s) so far on Why Does Everyone Love the Latest Mazda Lineup?